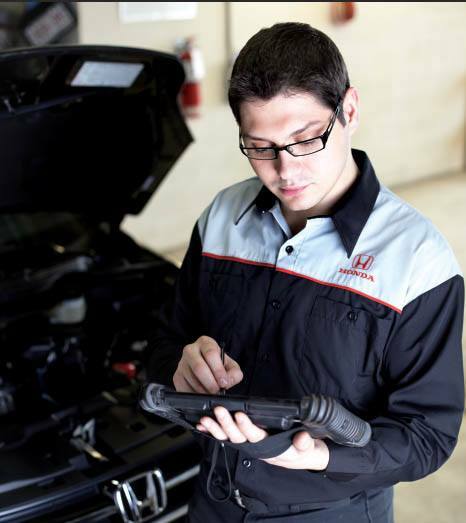 If you are buying a vehicle from Honda West and you are planning on taking it back to your home province, there are a couple things you will need to make your first trip a smooth one. First, you will need a copy of your temporary insurance with you at the time you schedule to pick up your vehicle. You will get the temporary insurance document from your insurance broker/agent in your home province before you leave to get your new vehicle. When you arrive at Honda West, before you take your vehicle, you will be direct to the local registry with a copy of your temporary insurance, your signed Bill of Sale, and for new vehicles, your signed New Vehicle Information Sheet (NVIS), and for pre-owned vehicles, a copy of the vehicle registration, all provide by the Financial Services Manager. The local registry office will provide you with a seven day in-transit sticker which will allow you to travel back to your home province without having a license plate on the vehicle. When you arrive home you will need to visit your register/insurance agent and insure and register the vehicle in your home province. You may need the Bill of Sale and the NVIS or registration to complete the registration in your home province, so keep these in a safe place. Any Provincial Sales Taxes (PST) due will be collected by your local insurance agency as Honda West is not registered to collect PST for other provinces. Here is a quick list of what you are need. Temporary insurance from your insurance broker/agent before you come to pick up your car. Paying the PST when you register the vehicle in your home province. Complete, signed Bill of Sale by both parties to provide to the registries office. Refund for the PST (if collected) to you on delivery. A trip to our local registry office to receive a seven day in-transit sticker so you can safely transport the car back home. If you have any questions please call one of our Financial Services Managers at 403-249-9100.